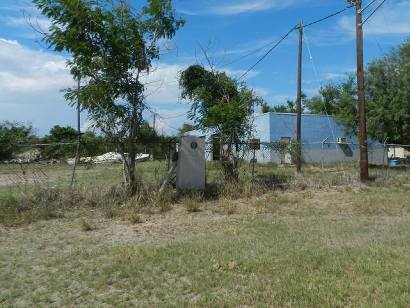 just south of US 281 in what is listed on the map as Villa Nueva." 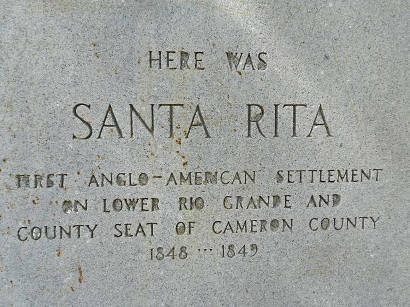 The first county seat of what would become Cameron County, Santa Rita was named by José Narciso Cavazos of Reynosa in the late 1700s. The community that formed here predated Matamoros’ official birthyear of 1826. Around 1830 the Rio Grange changed course, leaving Santa Rita firmly on the north side of the river. 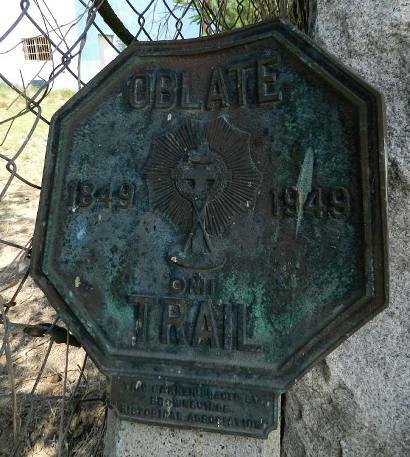 In 1834 an man named John Stryker was given permission by the Mexican government to settle here and with the outbreak of the Mexican War, Americans living in Mexico sought refuge here. 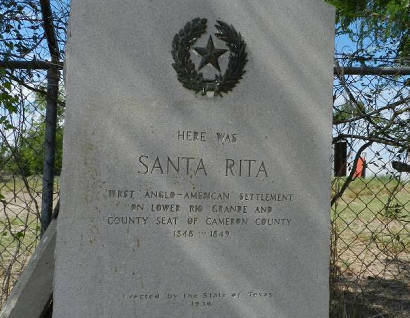 At the end of the war, Cameron County came into being (1848) with Santa Rita serving as the county seat. An election was held later that year and the more prosperous town of Brownsville won out. 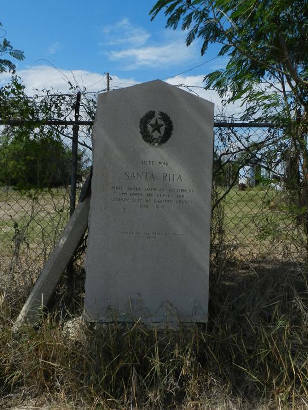 Not a trace of Santa Rita was left by the 1930s, but it was remembered by historians and the Texas Centennial Committee included it on their list of places receiving historical markers. 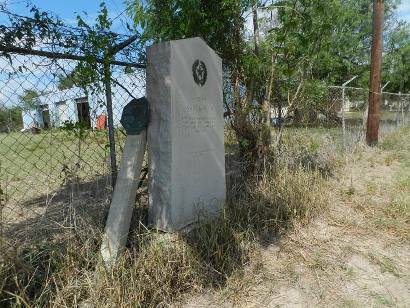 County Seat of Cameron County 1848-1849"